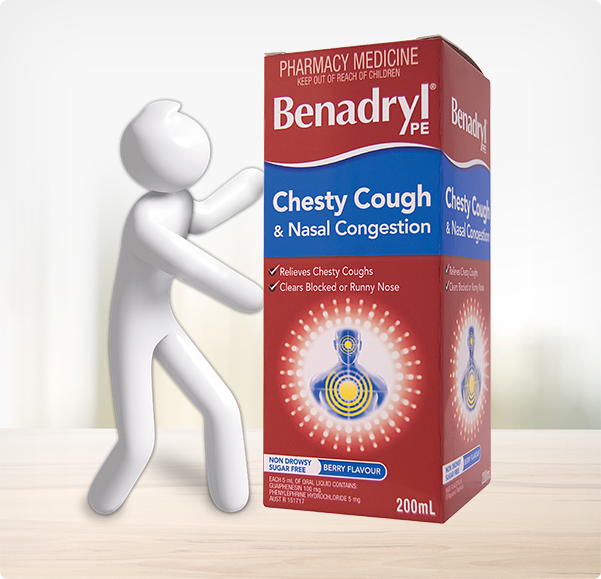 BENADRYL® Chesty Cough & Nasal Congestion is non-drowsy to relieve chesty coughs and clear blocked or runny noses, fast. To provide fast relief from chesty coughs by helping to clear phlegm from your chest more easily. 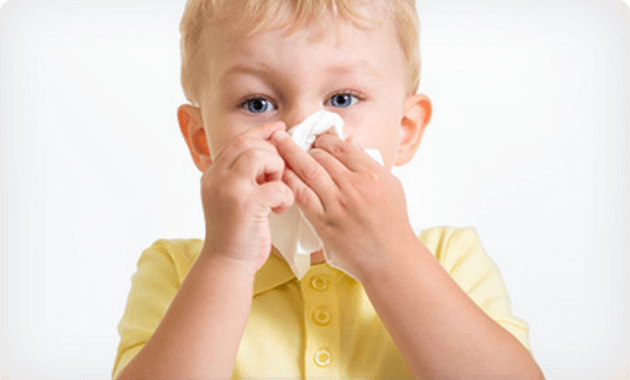 to clear a blocked or runny nose. 1 dose every 4 hours as necessary. No more than 6 doses in 24 hrs. This product also contains Benzoates, Saccharin, Sorbitol (21 g/60 mL). Does NOT contain sugar or colour. Caution: Phenylephrine may cause sleeplessness in some people.